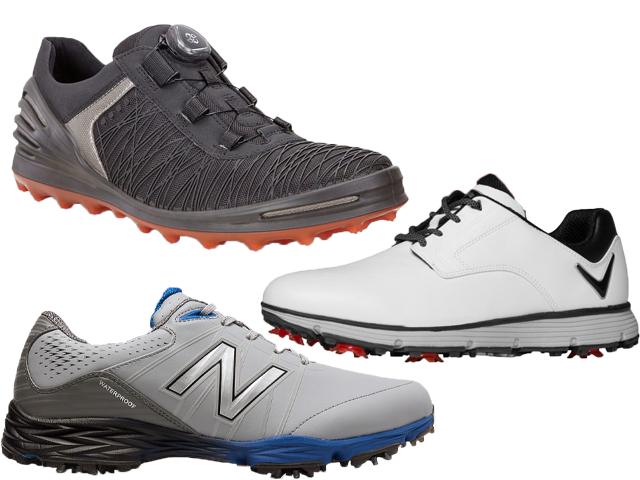 With Father’s Day coming the gift of golf shoes is not only appropriate but will be greatly appreciated. Here are three models from as many makers that we like and meet our criteria of performance, style and price. In the Callaway footwear collection the LA JOLLA is among the most popular and features classically stylish looks and colors. Resistance to water penetration comes from the Opti-repel microfiber leather upper in conjunction with the Opti-soft EVA midsole and 8MM molded EVA sock liner. 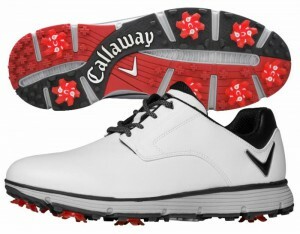 Callaway uses their Opti-vent mesh liner for breathability and to pull heat away from the foot. The outsole has low-profile Champ Slim-Lok spikes with seven PiviX cleats and each pair has a two-year waterproof warranty. Color choices are the traditional black or white plus a white and brown saddle. 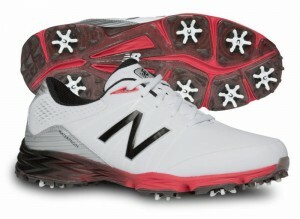 Pricing is $99.95 so check them out at callawayappatel.com. Featuring their new SYPDR-GRIP outsole, the Cage Pro targets the foot’s pivot points to give better traction and are available with the BOA closure for easy adjustment during the round. This model is designed for both stability and flexibility with a one piece PU cage that wraps around the heel, through the midsole and across the toes. 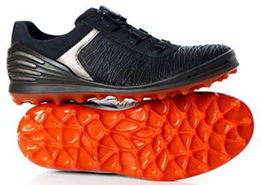 The PU structure is bonded to ECCO’s light weight and breathable HYDROMAX treated textile upper. Suggested retail price is $210 for the conventionally laced model offering four color combination choices and $230 for the BOA model which has a choice of two color combinations. Additional information may be found on eccousa.com.